Jump, walk, stomp and spin with Sound Costume in your pocket for a quick costume or to enhance an existing costume. Need to motivate the little ones to go for a walk? Sound Costume can be the motivator! Mech Robot Sound Costume included. New costumes are always in the works! Now with Apple Watch integration. 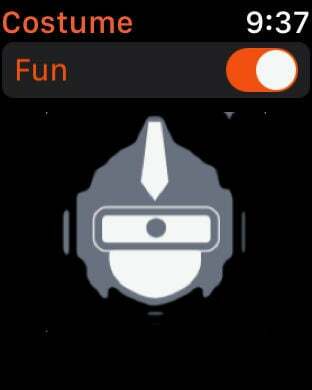 Use the 'Fun Switch" in the Watch App add Watch motions to the fun. Rotate right & left (like twisting a doorknob) or make a quick movement for additional sounds!